Our A6 postcards are produced using 350gsm Silk stock with gloss lamination on the front only so that one side can be written on. 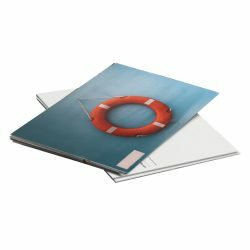 Available in a range of quantities, they can be printed single or double sided, and are perfect for clients who want to offer a more personal touch to their marketing. All postcards are printed Four colour process (CMYK) We use a combination or digital and litho methods to allow us to give you the best price we can. As a general rule of thumb, print runs up to 500 are printed digitally while runs above 500 will be printed litho but this cannot be guaranteed.